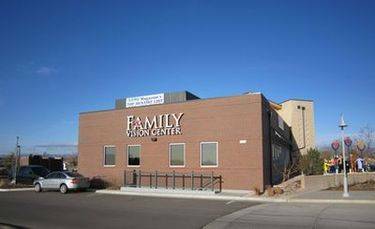 Conveniently located on Wadsworth and 101st in the Broomfield/Westminster area, the Family Vision Center office is open 5 days a week, Tuesday 10 am to 7 pm, Wednesday – Friday 8:30 am – 5:30 pm, and Saturday 8:00 am – 1:00 pm. Call us to make an appointment with our eye doctors to talk about your eyeglasses, contact lenses or specialty lens needs. Or just drop in anytime to browse through our large selection of designer eyeglass frames or sunglasses. With an office inBroomfield/Westminster Area, Family Vision Center has been serving the Colorado Front Range area for more than 14 years.